Though the band reached the peak of their commercial success at the start of the Seventies, their origins lay further back in the diverse, exciting and woefully ignored Dutch scene of the mid-Sixties. The Dutch beat boom started when Johnny Kendall and the Heralds' version of 'St James' Infirmary' charted in late 1964. Prior to that, most of the home- grown acts to find success had either been wholesome teen stars or guitar instrumental acts in the style of the Shadows. Robbie van Leeuwen, guitarist, songwriter and effectively leader of Shocking Blue, had previously held a similar position in the Motions in their early hit making phase. Those hits included 'It's Gone', 'Wasted Words' (a paean to Dr. Martin Luther King), 'Every Step I Take' and 'Everything That's Mine' the latter one of the finest slices of Mod/Art Pop produced anywhere in the world. The Shocking Blue story effectively started when Van Leeuwen left the Motions in 1967 due to conflicts with lead singer Rudy Bennett. 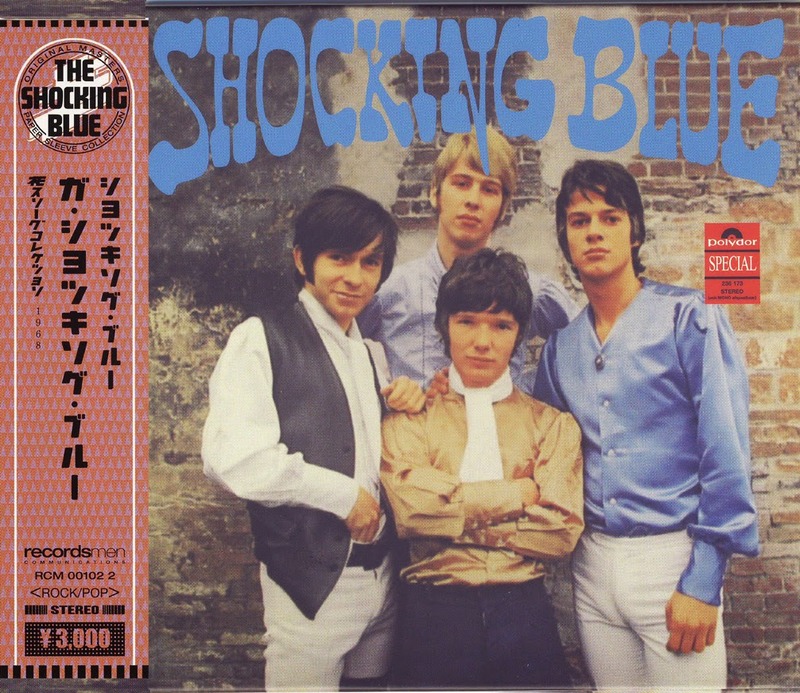 He recruited members from other Hague bands for his new group: the line-up for the first Shocking Blue singles, up to and including the first hit, 'Lucy Brown Is Back In Town', was Van Leeuwen (guitar), Fred de Wilde (vocals), Klaasje van de Waal (bass) and Cor van Beek (drums). The single charted well, things were about to change. About the same time as Lucy Brown's release, fellow Hague band Golden Earring had hit the jackpot with the pure bubblegum of 'Dong Dong Di Ki Di Gi Dong'. A band was hired to play at the party they held to celebrate their first Number 1; named the Bumble Bees, they were fronted by a strong and striking female vocalist. Shocking Blue's manager and publisher both attended the party, and both felt certain this singer would be ideal for their band. The woman in question was Mariska Veres.